A historical epic about the founder of the largest empire in history has unveiled a set of character posters, kickstarting a series of promotions for the film’s upcoming release. Genghis Khan <战神纪>, produced by Jean-Jacques Annaud and directed by Hasi Chaolu (哈斯朝鲁), is set in late 1100’s Mongolia, in the years before Genghis Khan started his military campaign to conquer Eurasia. After the death of his father Yesügei, Temüjin (later Genghis Khan) returns to his home tribe only to discover that it was destroyed by his father’s former compatriots. 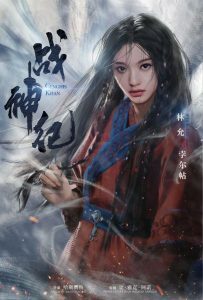 Hong Kong actor William Chan (陳偉霆) stars as Genghis Khan, with Jelly Lin Yun (林允) as Börte, his love interest and first wife. 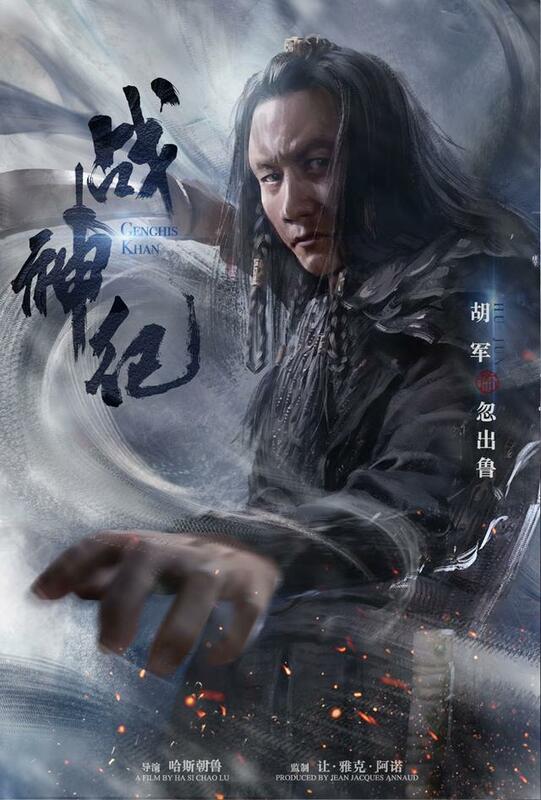 The film also stars Hu Jun (胡军) as the Naiman warrior Kuchlug, and Zhang Xinyi (张歆艺) as Dodai. 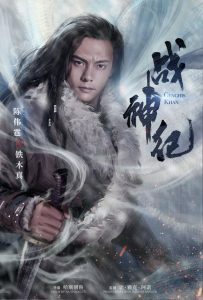 I cannot imagine William Chan as Genghis Khan. I expect someone with a more manly and rougher look. Let us see what the stylist can do. @mangotango so true, its a insult for the great khan that this role are played by an actor with a kiddy face lol. totaly a wrong cast. alex man is the best ghenkis khan i have seen. aaron kwok will also fit this role. Funny how you mention Aaron Kwok as he was in the old Genghis Khan with Alex but he was only a brief cameo. @hetieshou yes i know, that was in ’86 aaron was i think about 18 or 19 years old. although he was a cameo his performance was decent. you already see the fire in his eyes and got a powerfull voice. I actually did not know it was him until I saw the show Man On the Top. Aaron mentioned that it was Felix who helped him to enter the showbiz. I have to say, Hu Jun really does well as tribal characters. He has the height and the build for those roles. 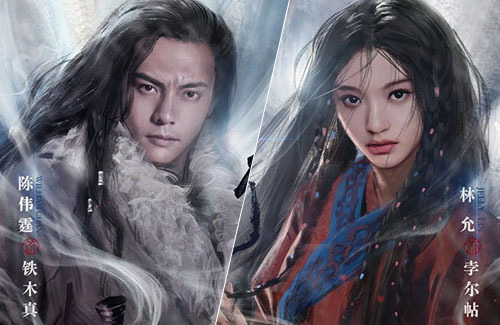 Not expecting much from William Chan or Jelly Lin – never have been wowed by their acting before. Hope they don’t turn it into some soppy romance movie because GK’s love for his wife is only one aspect of his life. His attitude and vision and also his darker side can also be explored in a story about him. Like I’ve said before – I don’t know why William is so hyped. I’m really annoyed by his voice & his big nostrils lol. Plus his acting doesn’t impress me. Meh. Looking forward to this! William stars as the young version of Genghis Khan here, so I am not worried about his youthful look. @prettysup1 So @elizabeth may be right. Story about young Genghis and his love life rather than Genghis the warrior and fighter. @june, I believe he has a lot of fans? So that should be able to sell. Why are they still promoting William? Please, give him supporting roles so he can continue to grow and nurture his acting. He absolutely cannot carry a drama or a film. It in fact turns me off a show when I see his name as leading actor. Now if only they had Hu Jun as Genghis Khan…. 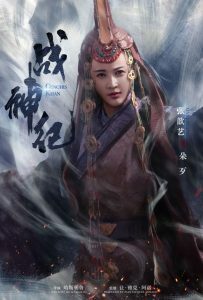 Hu Jun already played Genghis Khan’s grandson so maybe they did not want him play Genghis Khan too?